If you use Google Search to look up musicians and bands on your Android handset, you’re in luck. 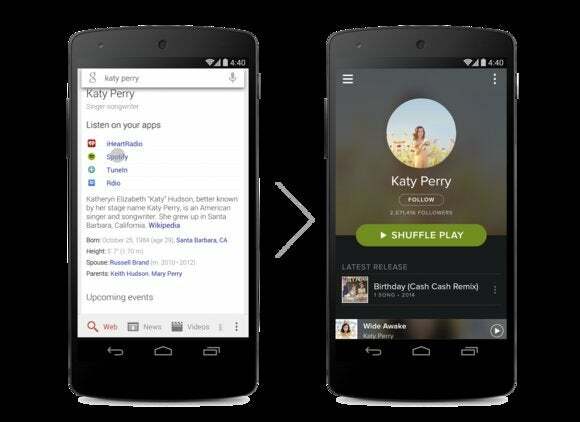 Google now provides a one-touch option to play their music right now on your Android* phone. *Yup, that’s an asterisk. 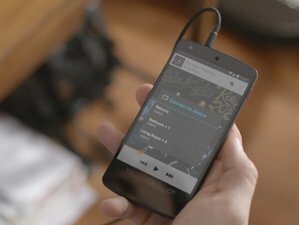 This feature requires your Android smartphone to be already loaded with one or more music playback apps; namely, Google Play Music, iHeartRadio, Spotify, TuneIn, or YouTube. And so far it’s only for Android users in the United States. As convenient as this new feature is to quickly familiarize yourself with the music of new bands, it’s not so handy if you’re looking for a particular song, because only artist searches generate the direct music links. Looking for a specific song or album does not. Still, even offering limited direct music links may help Google attract back some traffic from Amazon Prime, iTunes Radio, and Pandora.